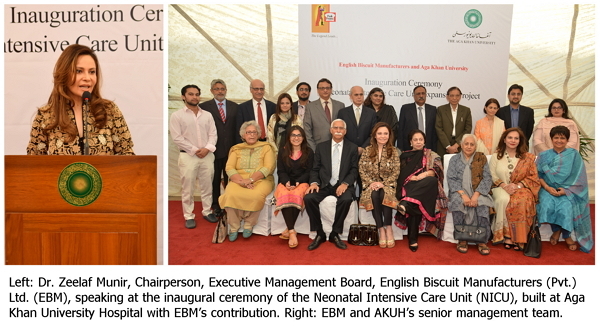 The Aga Khan University Hospital inaugurated its newly expanded Neonatal Intensive Care Unit today with the support of English Biscuits Manufacturers (Pvt.) Limited. The expanded NICU will offer emergency, inpatient and intensive care treatments for babies born early, providing the best possible specialized care to its neonate patients.